San Ysidro, CA January 12, 2009. 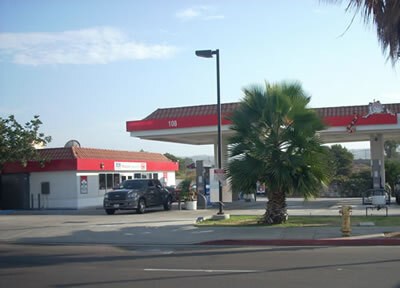 Cornerstone Commercial Mortgage arranged an $840,000 purchase loan for an EXXON Gas Station and C-store in the San Ysidro area of San Diego County. The borrower is an experienced owner/operator and was having difficulty getting financing in today’s difficult economic environment. Cornerstone was able to provide the borrower with a loan for 70% of the purchase price at 8.75% (fixed for one year), five-year term with a 30-year amortization in the time frame they needed to close. The borrower accomplished the acquisition and was more than satisfied with the quality customer service they received throughout the loan process. Cornerstone Commercial Mortgage manages every detail of the loan process from start to finish and assists clients in all aspect of financing from consulting on the feasibility of a real estate development project to obtaining the right construction or permanent loan. Cornerstone Commercial Mortgage’s Mission is to provide our clients the best loan at the most competitive terms in the shortest time possible while keeping their best interest in mind. For more information see our web site at www.cmlv.net.